Need help financing your next vehicle? Let us search for the best rate for you. All credits welcome to apply! 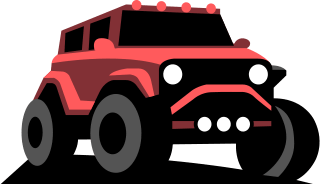 SUVs.com lists 1.5 million vehicles daily. Our goal is to build tools and write comprehensive reviews in order to assist our users! We want you to make an informed decision and love the vehicle you end up buying. Please let us know if we can improve in any way. Thanks for using our site! ∗ Monthly payments are only an example shown for convenience. Estimated monthly payments based on 3.9% APR, 60 month financing, and 20% down payment. Taxes and other fees are not included in price or payment. Subject to approved buyer credit. Actual purchase terms may vary. Payment calculations may not reflect actual financing terms. Down payments subject to availability, approved buyer credit and lender requirements.